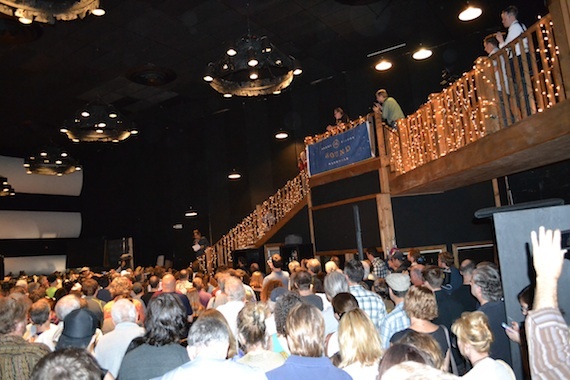 A large crowd of supporters of Nashville’s RCA Studio A gathered outside the famed studio at 30 Music Square West this morning to discuss the importance of preserving the city’s musical history, and to celebrate the decision of Brentwood developer Tim Reynolds to preserve the landmark recording facility originally known as RCA Studio A, even if it means withdrawing from the project. 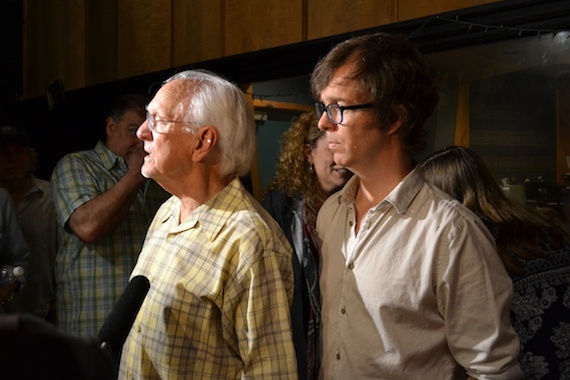 Singer-songwriter Ben Folds, who recently wrote an open letter with a plea to save the studio, re-routed his tour dates to attend the gathering this morning on Music Row. Folds says he received a letter on June 30 stating that the building would be sold. Folds became a tenant in the space 12 years ago, and has since renovated the building. 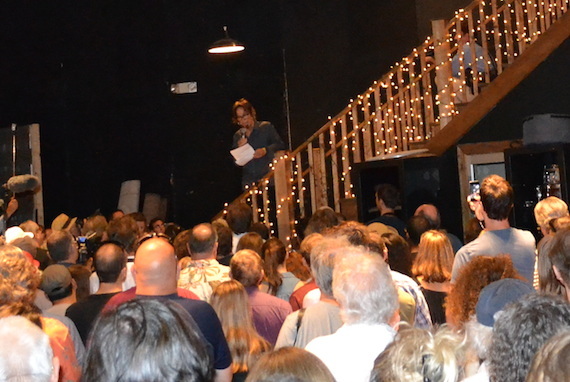 “#SaveStudioA may have just shifted to #SaveMusicRow. This is a wake up call, this time without the luxury of another snooze button option,” he said via social media over the weekend. “It’s become clearer over the past few days that we have reached a tipping point for the survival of Music Row. We need to gather so that we ensure the dialogue can turn into real action, action that helps to preserve what makes Nashville so attractive to creatives and investors alike. Among the speakers Monday morning were Folds, Nashville Musicians Association AFM Local 257 president Dave Pomeroy, and Ocean Way Nashville’s Director of Operations Pat McMakin. Built in 1964, the studio was established by producer and pioneer Chet Atkins. Originally known as RCA Studio A, or RCA Victor Nashville Sound Studio, numerous recording artists have made albums there over the years. In 1979, producer Owen Bradley took over the space, changing its name to Music City Music Hall. During this time, the studio hosted artists including Loretta Lynn, Brenda Lee, Joe Cocker, and Leon Russell. In 1989, producer Warren Peterson took over, bringing the new name Javalena and accommodating artists such as Neil Diamond, Mark Chesnutt, and early projects by Gary Allan. In ’99, Peterson closed down the space and it sat empty for three years before Folds resurrected the studio. After nearly a decade of dedicated private use, Ben’s Studio re-opened to the recording community for commercial sessions. During Monday morning’s gathering, it was announced that a Music Industry Coalition (MIC) would be formed to encourage lawmakers to protect the historic buildings dotting the Music Row area. The coalition currently has a Facebook page, and will launch a website in 10 days. A popular hashtag for the original campaign, #SaveStudioA, has officially been changed to #SaveMusicRow.